The Town of Fort Erie has committed three million dollars to the construction of a proposed new South Niagara Hospital at the Lyons Creek Road site in Niagara Falls. “We recognize that the new hospital has yet to be announced by Health Minister Deb Matthews, however we feel it is critical to demonstrate to her and all of the Niagara Region that Fort Erie is on board and prepared to back up their support for this new hospital with a substantial financial commitment”, said Councillor John Hill, Finance Committee Chair and sponsor of the motion that was approved by Town council at the meeting held July 15, 2013. The terms of payment will be the subject of discussion when the council begins its deliberations for the 2014 budget. Fort Erie Mayor Doug Martin was among the five south Niagara mayors who joined the Regional Chairman in reviewing potential sites for the new hospital. He hopes the financial commitment will move the province closer to approving the much needed facility. The Lyons Creek Road site has been endorsed by Dr. Kevin Smith who reported on his review of the Niagara Health System in September 2012. 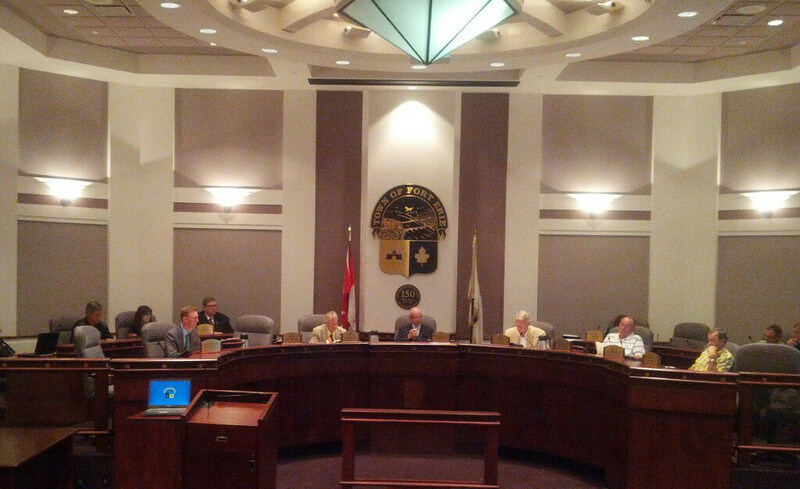 Since then, Fort Erie council has passed a number of resolutions supporting Dr. Smith’s recommendations and has been a strong proponent of moving forward with the reformulation of health care in Niagara as laid out in Dr. Smith’s report. Kudos to our Council. This is a very proud moment. Thank you all!! We have been waiting for such a day! Many thanks goes out to all of Town Council and its Staff for being on the forefront of improved Health-Care for Ontario. Many of us have been prepared to help finance this new state of the art Hospital for South Niagara and we will be anxious to donate and help fund-raise in the near future. Couldn’t be happier as it is so well needed. Hope this happens soon. HLL.